Every city has a few really cool neighbourhoods that seem to have more than their fair share of history, arts and culture. As it turns out, Cape Town has more than a few. 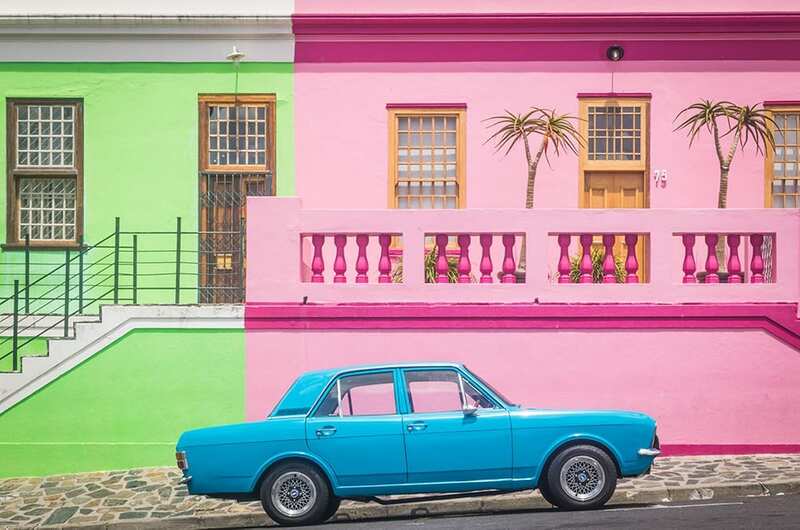 So we’ve put together a handful of our favourite must-see neighbourhoods in the Cape Town area. 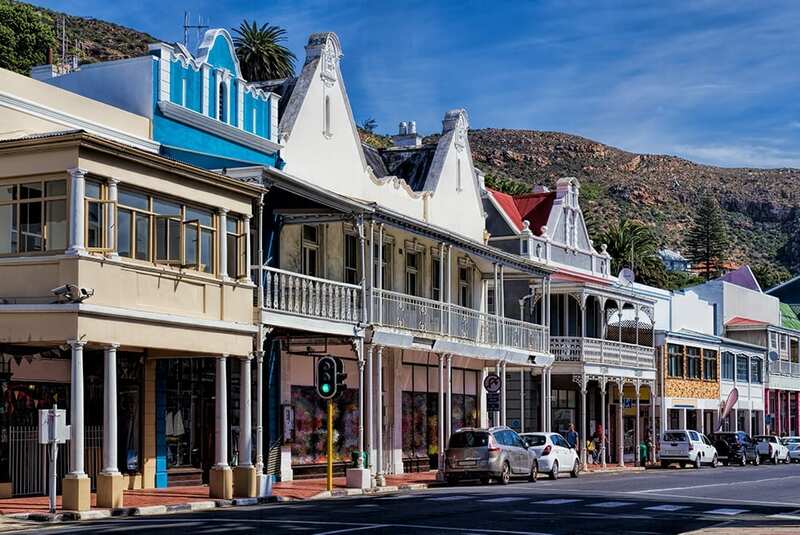 You’ll want to put aside at least a day to get to know these neighbourhoods or, even better, book into a guesthouse or B&B and fall in love with these local gems. Kalk Bay has always been a cool neighbourhood, but now it’s official. In July 2018, it was named one of The 12 Coolest Cities around the World by Forbes magazine – and it beat London and New York in the process. 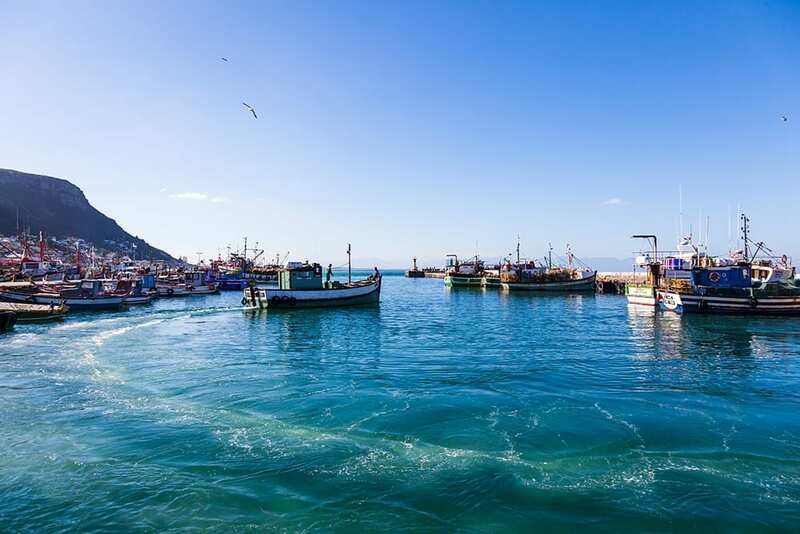 Much of Kalk Bay’s cool can be put down to its growth over the years that has been natural, organic and driven by the day-to-day dramas and activities of the locals who live and love this sleepy fishing village on Cape Town’s False Bay coastline. Even if these days Kalk Bay looks more polished and tourist-friendly than it did in the old days, you won’t find a franchise or imposing high-rise hotel anywhere. What makes this town so gorgeously intriguing is its hodge-podge mix of historic building, cobble stone streets and love for colourful creativity that can be seen everywhere – in bohemian bric-a-brac shops, bookshops, nooks and crannies that stock vintage collectibles, and galleries bursting with art and antiques. Then there are the cafés and restaurants that offer a smorgasbord of eating experiences and culinary treats. The quintessential things that make Kalk Bay unique in the world, are almost never out of sight – the ocean and mountain views, and colourful fishing boats that in many cases have been used by the same families that have fished False Bay for a hundred years or more. If you need a bit of activity to burn off those Kalk Bay calories, you can hike the surrounding mountains or explore its caves with an experienced guide. Boomslang cave is popular with novice hikers and groups and the four kilometer hike takes about two hours. Kalk Bay Theatre is the perfect way to end the day, but you’ll need to book your seat because most shows sell out quickly. Simon’s Town is one of South Africa’s oldest towns and home to the South African Navy. Its rich maritime history is evident in its architectures, museums, eateries, and the servicemen and women in crisp white summer uniforms or the black and gold of winter. 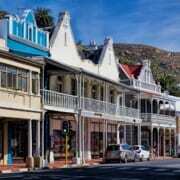 A walk down Simon’s Town main road gives you the pick of quaint shops, restaurants and historic sites. These include Jubilee Square, the South African Naval Museum, and the Warrior Toy Museum. You won’t want to miss a visit to the statue in Jubilee Square of Just Nuisance – a famous Great Dane mix who became the only dog to be officially enlisted in the Royal Navy. You can visit his grave at the top of Red Hill where he was buried in 1944 with full military honours. The other famous animal inhabitants of Simon’s Town can be found at Boulders Beach, home to a large colony of African penguins who can be seen going about their daily lives in this spot sheltered by ancient boulders along the False Bay coastline. If you’re after a bit of relaxation, Whale View Manor Day Spa are all about pampering you. And for those after adventure, there’s everything from sailing, cycling, hiking and kayaking, to shark cage dives and ghost walks. You will find Bo-Kaap above the city of Cape Town at the foot of Signal Hill and you’ll know when you’ve arrived. Cube houses of tangerine, mint green, candy floss pink and baby blue, wind up hills and down cobbled streets. They’ve been around since the 1760s when they were originally built and leased to freed slaves, most of whom had come from Malaysia and Indonesia. Many of the present day residents in this must-see neighbourhood can trace their roots back a hundreds or more and this why so many of the traditional customs and flavours live on in this unique area. A good place to start is with a visit to the Bo-Kaap Museum for a look at the history of the area and the life of a typical Malay family. There are also a number of colourful mosques in the area – the Auwal Mosque was the first ever established in South Africa. From the museum there is a 20-minute audio tour guided by Shereen Habib whose family has lived there for almost a century. You can also sign up for a half-day cooking course given by Cape Fusion Tours and take home skills that will allow you to keep enjoying the Cape Malay flavours of Bo-Kaap. 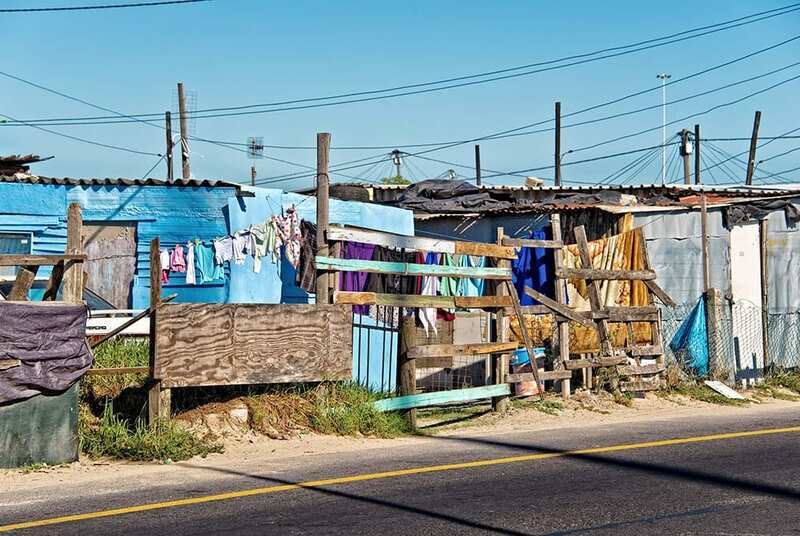 Khayelitsha, just 30km south east of the city centre, is the largest township in Cape Town. Although poverty is still rife in this neighbourhood, a spirit of optimism and entrepreneurship is alive and well in the rich history of this place, its culture and many social development projects. The local eateries offer a mix of traditional and western food, and patrons are treated to an authentic township meal and neighbourhood vibe. If you’re after a morning brew, try artisan coffee shop, Department of Coffee. Or for the healthiest food in town, head over to Spinach King just around the corner from Khayelitsha railway station, for spinach bread and sandwiches made with locally grown spinach. A Township Walking Tour is still one of the best ways to experience Khayelitsha. Not only will you be able to get to see township life as it happens, but you’ll also be given the opportunity take part in helping to create sustainable, positive change in the community by planting a vegetable gardens, for instance, or creating colourful street art. Bloubergstrand is located 15 kilometers north of Cape Town’s city centre, along the shores of Table Bay. The suburb’s name means “blue mountain beach” in Afrikaans, and that’s an accurate description. 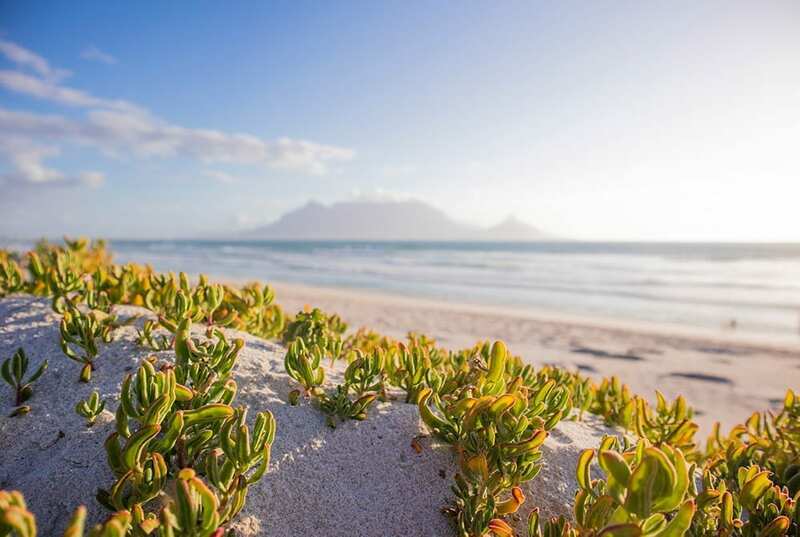 The beaches (divided into Big Bay and Little Bay) are best known for their view of Table Mountain across the bay which is the perfect backdrop for holiday pics. Big Bay is the destination of choice for kite surfers and windsurfers from around, while Little Bay is great for picnicking on the lawns or exploring the nearby rock pools. When you’ve had enough of the beach or air, catch a bite to eat in one of the neighbourhood restaurants or stop in at Studio 46 for an eyeful of creations by local artists and sculptors, jewellery designers and photographers. Remember to share your epic Instagram pics with us! Tag @secretcapetown or use #secretcapetown to be featured with our #guesswhere. Looking For A Cape Town Travel Guide Book? Various Options: 1,2,3 & 5 Day Passes.